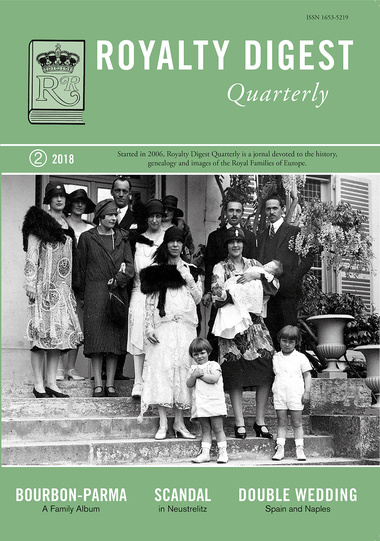 ROYALTY DIGEST Quarterly 2/2018 presents the Ducal family of PARMA in 100 pictures and 4 family trees. It is a large family with lots of connections. 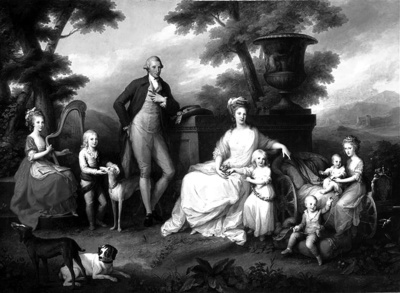 Marlene A Eilers Koenig writes about DUCHERSS MARIE OF MECKLENBURG-STRELITZ whereas Coryne Hall tells the story of MISS WHITE AND THE PALEY FAMILY - "Caught in Revoluton". 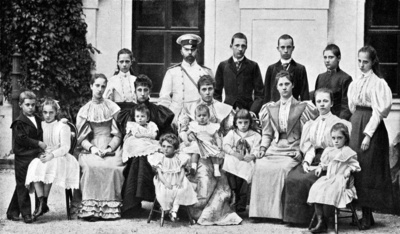 Alberto Penna Rddrigues' article focuses on two sets of siblings and the marriages between them, orchestrated by their respective mothers: The Two Sicilies and Spain. The mini-biography this time deals with Princess Eugenie of Greece and Denmark. 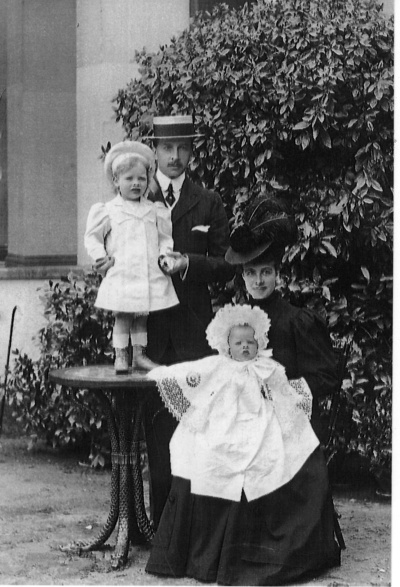 Duchess Marie of Mecklenburg-Strelitz with her first husband, Count Jametel and their two children. 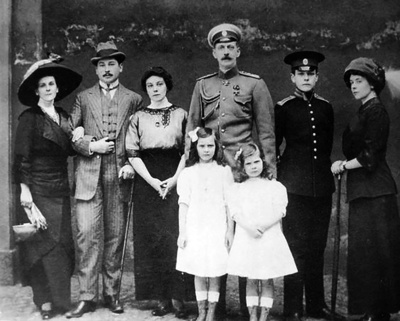 Grand Duke Paul with his second wife, children and stepchildren.